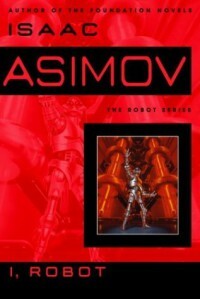 Asimov does not disappoint with this book of short stories based on robots. Taking into account this was written in the 1940s and published in 1950 his use of dialog flows naturally and his premise of the three laws of robotics and how he entwines them within his stories is astounding. The most scary for me was "Reason". The fact that a machine can believe in his own superiority and show such disdain for humanity was frightening. Asimov used these 3 laws throughout his stories and showed much about humanity and racism. His hope for the future was also humanity's greatest asset which shone brightly. I've never read any Asimov stories til now, but I definitely appreciate why he has such a great following even now.